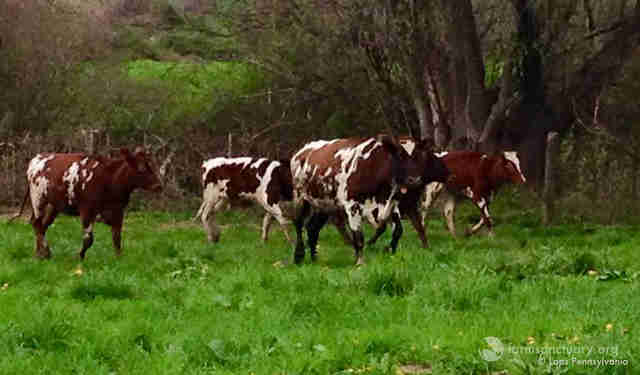 When the police first arrived at a hobby farm in Chester, Pennsylvania, they didn’t even know about the cows. They’d stopped by to investigate what looked like a dead horse, after a Good Samaritan saw the animal’s body out in a pasture. The horse, however, turned out to be alive — he’d just been sleeping. But when the police, along with Large Animal Protection Society (LAPS) and Helping Hands for Animals, had a closer look around the farm, they found something far more shocking. The farmer owned 15 cows, many of whom he’d shown at state fairs and won prizes for. 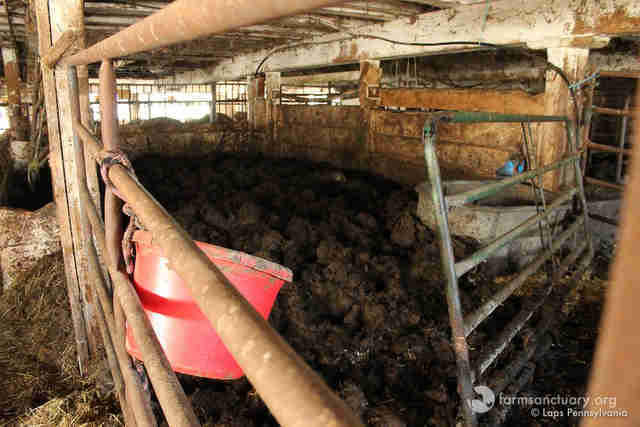 But instead of letting the cows graze out in a pasture, he’d locked the animals, eight of whom were just calves, into a filthy barn that was coated in a thick layer of mud and feces. 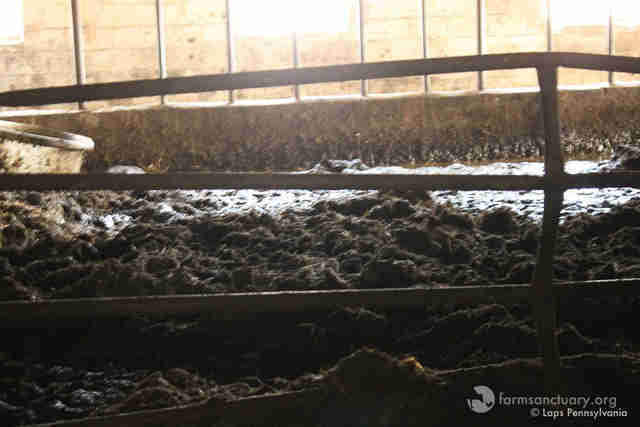 Five of the eight calves had already drowned in the muck. 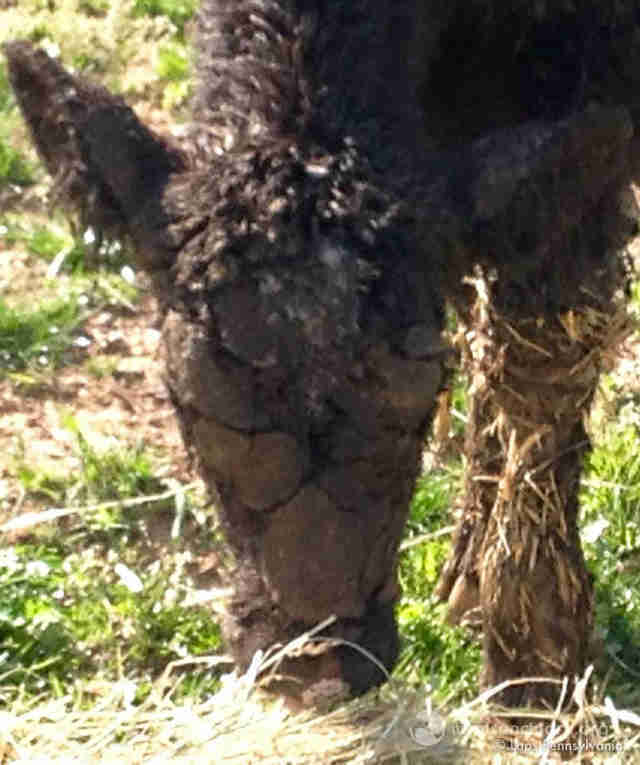 The three calves who survived were covered in mud and feces, and they were very weak and sick. The adults weren’t in great shape, either. 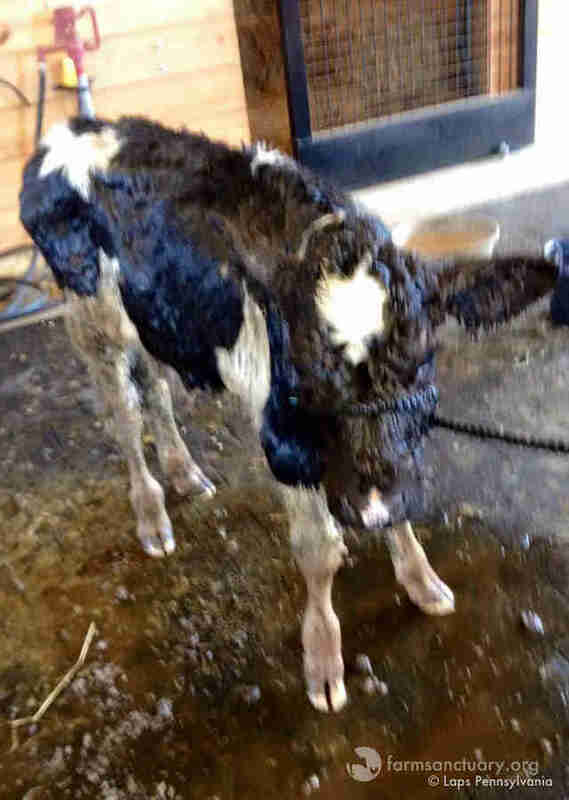 Not only was the barn dangerous and physically unhealthy for the animals, but the whole situation was incredibly traumatic, as they had to witness five baby calves die right in front of them. “Cows are very emotional,” Coston said. “They’re very vocal and upset when someone dies, and they’re not frightened about staying with the body and mourning." 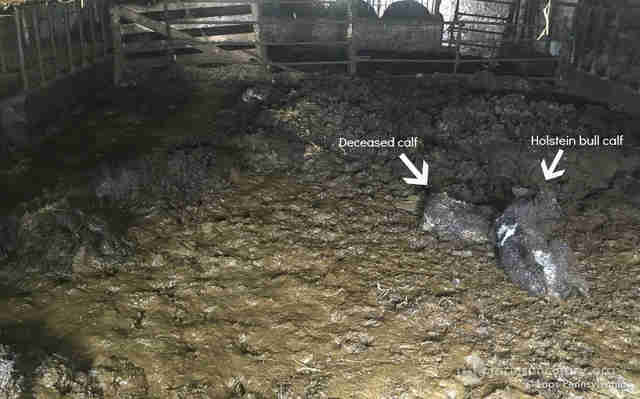 In fact, one of the surviving calves was nestled up with the body of one of the deceased animals. “It doesn’t make any sense that these animals had to go through that at all,” Coston said. When the authorities approached the farmer, he insisted the animals had only been in the barn for about three days. But to the rescue team, it seemed pretty clear that they’d been in there a lot longer than that. Thankfully, police and representatives from LAPS were able to quickly remove the animals and take them to a secure location. 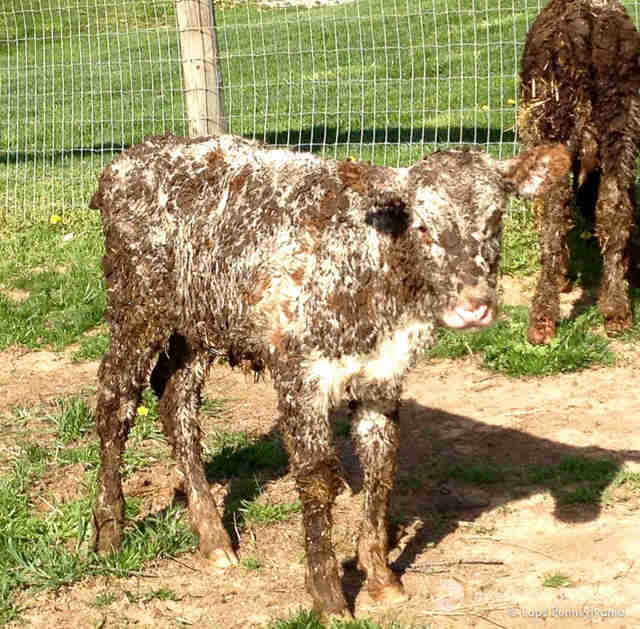 From there, the animals went to two different sanctuaries — six adults and one male calf went to Farm Sanctuary in New York, and one adult and two calves went to Skylands Animal Sanctuary & Rescue in New Jersey. When the animals first arrived at Farm Sanctuary, they were extremely frightened, Coston said. And two of the female cows are very protective of the male calf, a Holstein, even though they’re not related to him, Coston explained. The females are even producing milk for the baby Holstein, and he’s nursing from both of them, according to Coston. This particular baby Holstein calf — who has yet to be named — was originally meant to go to another home, Coston explained, but seeing how attached the females are to him, she knew she had to keep them together. Despite everything theses animals have been through, they’re becoming happier every day, according to Coston. 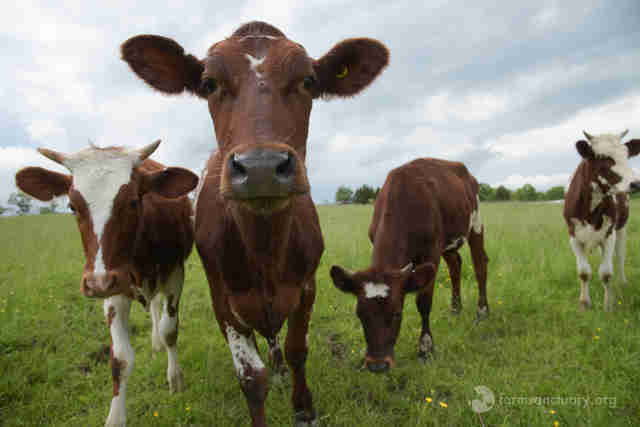 To help these cows recover, you can make donations to Farm Sanctuary and Skylands Animal Sanctuary & Rescue.